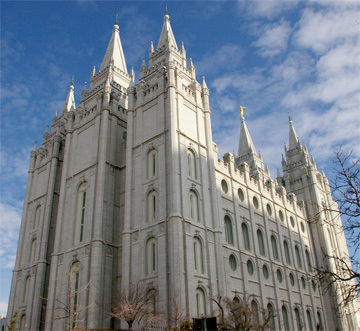 Many members of the LDS Church begin genealogical research as part of a religious duty to seek out their ancestors. The first few generations of your ancestry may be fairly easy to trace, but soon it becomes more difficult. While research is exciting and rewarding, most members simply do not have the experience, the time, or the access to original records in order to solve difficult research problems. The goal of this type of research is to identify new relatives and ancestors and submit the names to the temples and genealogical databases, but it can easily become overwhelming. Many research companies offer to perform research, but very few have the knowledge, skill, or ability to address LDS ordinances. This is a major setback, because the identification and submission of LDS ordinances is often the primary reason that Latter Day Saints perform genealogical research. If those companies can’t help you find ordinances, why use them at all? One of our more popular services for LDS members is to systematically review your ancestry, make corrections and updates to your files, and to verify that all temple work is complete. This is usually performed for six, eight, or even up to twelve generations of ancestors! (The Church recommends that members focus on ancestors who were born after 1500, which is roughly the 12th generation for most clients.) We gather the temple dates, submit any missing ordinances under your name, and provide you with printed family group sheets for your records. Many LDS families with pioneer heritage will find it difficult to locate new names to take to the temple. Even families whose ancestors have only been members for a few generations will find that cousins and relatives have submitted all the known family names. More than half of our genealogical research is commissioned with the expectation that we will find new names to submit to the temple. We are able to perform research in the most likely places to find new names for temple work, or search for cousins, aunts, and uncles whose work has not yet been completed. We can usually find new temple names for our clients, even when they believe all the work has been completed. The LDS Church’s new online family tree system makes it easier than ever to review, edit, and add to your genealogy. One major feature of the program is that anyone can edit everyone’s ancestry. This can be a great help, if everyone follows proper procedures and genealogical standards, and everyone agrees on how the data should be interpreted. However, it also makes it very easy for difficult problems to arise that are not easy to remedy. We have several solutions for cleaning up your New FamilySearch tree, and also providing you with a personal hard copy of a verified ancestry, so you’re protected from strangers interfering with your ancestry. If you’re facing problems with New FamilySearch, you need expert help, and we can provide it. Each family is unique, but for members of the LDS Church, every ancestor and relative needs to be found, regardless of the difficulties or problems you may face. If you are interested in systematically verifying that all known ancestors have been submitted, or if you’d like to find new ancestors for submission, please contact us and let us explain how our services can help.